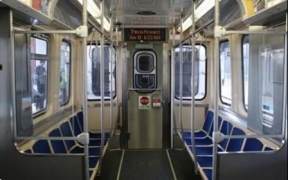 On Tuesday March 18, the Regional Transportation Authority (RTA) asked riders to join them in celebrating the contributions of the hard-working transit employees at Chicago Transit Authority (CTA), Metra and Pace. The RTA created personalized “Thank You” cards that were available on its website, www.RTAChicago.org, and given to transit employees. “We all know the familiar faces we see each day, whether it’s the man or woman who works at the station or the operators who makes sure we get to our destination. They become part of our daily commute and it’s nice to show we know them and appreciate them,” said Leanne Redden, RTA Acting Executive Director.